A family show with classes including Horses, Show Jumping, Fur & Feather, Dogs, Horticulture/Flowers, Small and Large Livestock, Handicraft & Produce, Tractors, Many Trade Stands and various attractions. Free car parking is available near the Showground. Alternatively, Keighley & District Bus Museum Trust operate a free Show Day bus service running regularly between the Showfield and the town centre, and connecting with the bus and railway stations. Coming along and enjoy a super day out! 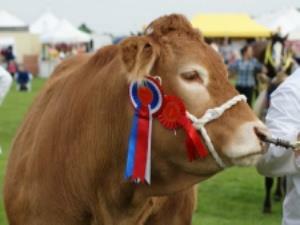 See the Keighley Show Website for Prices & Tickets.